Another dear friend and member of the Ampersand community has passed away this spring. On April 1, 2015, we lost watercolor painter, Steve Hanks in his hard fought cancer battle. Steve was a critical part of our Ampersand team as he helped us on all our testing phases on Aquabord throughout the years. We will be forever grateful for his contributions and all of us here at Ampersand are so deeply saddened by this loss. We send our deepest sympathy to his family. 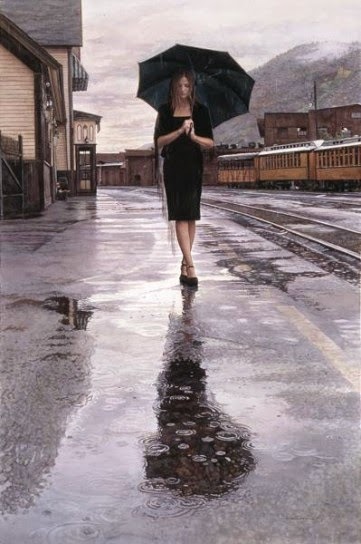 Steve Hanks attended the Academy of Fine Arts in San Francisco and graduated from the California College of Arts & Crafts. He practiced his art professionally since graduation, delving into oils, watercolor, pencil and acrylics. Steve labeled his work, “Emotional Realism,” and won the National Watercolor Society Merit award and the National Academy of Western Art Gold medal, along with having his work collected internationally. We understand that throughout his treatment he was unable to paint, and medical along with life expenses piled up. There is a memorial fund set up in Steve’s name to help the family and cover expenses at GoFundMe. Thank you for your thoughtfulness, help and assistance. I'm so sorry to hear of his passing. May God be with his family, friends and all of you at Ampersand as you mourn his life in your own hearts and days.